THE IGLESIA NI CRISTO: Celebrating the First Year Anniversary of "Kabayan Ko Kapatid KO"
Celebrating the First Year Anniversary of "Kabayan Ko Kapatid KO"
THE IGLESIA NI Cristo (Church Of Christ) held a special worship service and a relief and medical mission last Saturday, 26 April 2014, at the SM Mall of Asia grounds in Pasay City, in commemoration of the first year anniversary of its evangelical and relief mission dubbed “Kabayan Ko, Kapatid Ko” or “My Countrymen, My Brethren.” The Iglesia Ni Cristo (Church Of Christ) Executive Minister, Brother Eduardo V. Manalo, officiated the said special worship service. Tens of thousands attended the said event that started at about 6:00 in the morning. The event also served as one of the pre-Centennial activities of the Church which will be celebrating its 100th year anniversary on July 27. A Lingap sa Mamamayan, or medical-dental and relief mission, followed shortly after the worship gathering. Bags of goods distributed to INC members and non-members alike. There was also a Photo Exhibit showcasing the activities of the “Kabayan Ko, Kapatid Ko” in the last 12 months. The project “My Country, My Brethren” (Kabayan Ko, Kapatid Ko) was launched by INC Executive Minister Brother Eduardo V. Manalo last April 13, 2013 at the P. Guevarra Elementary School in Binondo, Manila. Since then, the activity was done almost weekly reaching out to millions of people who benefited from the event that features relief distribution, a medical and dental mission, as well as an evangelical mission. INC General Auditor, Brother Glicerio B. Santos, Jr., said the project, which aims to “extend brotherly love and care for all,” is spearheaded by the Felix Y. Manalo Foundation, the INC’s charitable arm. To date, the Kabayan Ko Kapatid Ko program has been conducted all over the Philippines, as well as in other countries, earning the admiration of local officials here and abroad. In fact, early this year, a certificate of recognition was presented to the INC by Carson, California Mayor Jim Dear and Mayor Pro Tempore Elito M. Santarina after the conduct of the project “My Countrymen, My Brethren” (Kabayan Ko, Kapatid Ko) at the StubHub Center in Carson, California on January 11. The special award recognizes the Iglesia Ni Cristo for its outstanding devotion in providing continually the important spiritual encouragement for various communities. Local officials here and abroad, particularly in the towns where the project was held, said the event benefited their communities and thanked the INC for reaching out to their constituents. 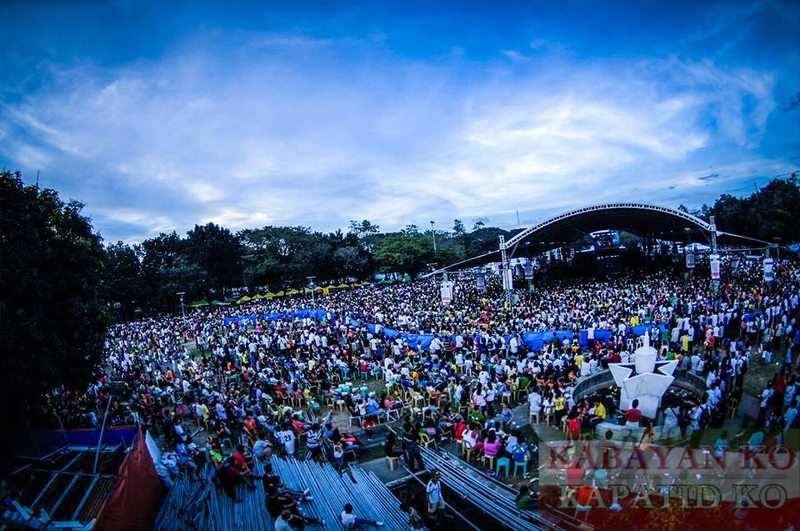 In the Philippines, the event has been conducted in various parts of Luzon, Visayas and Mindanao. It was, however, in the areas in Central Philippines that had been most ravaged by supertyphoon “Yolanda” (international name Haiyan), particularly in Leyte and Eastern Samar, that it had been held the most. Abroad, this INC activity was also done in the Dominican Republic (Sept. 21, 2013); Milan and Rome, Italy (Oct, 27, 2013 in); Lahad Datu in Sabah, Malaysia (Dec. 8, 2013 in), and in various parts of the United States, the most recent of which was in Oxnard, California last April 19, 2014. In April last year, Brother Eduardo V. Manalo’s pastoral letter, read in Iglesia Ni Cristo (Church Of Christ) locale congregations all over the world, stated: “It is important that we inform our countrymen that the Church of Christ has the true brotherhood.” He likewise urged the brethren to further propagate the faith and share the message of salvation to all humanity, especially to their countrymen. Because of this, members of the Iglesia Ni Cristo (Church Of Christ) volunteered their time and effort in extending help to people regardless of their religious affiliation in compliance with the biblical mandate, “Love your neighbor as yourself (Matthew 22:39 NIV). On Oct. 14 last year, our beloved Executive Minister, in a statement read during the Kabayan Ko, Kapatid Ko activity held in Quiapo, Manila said that the INC was concerned in not only extending material help that would only last for a while, but also in imparting the words of God that will lead man to salvation. “Because of the abundant blessings of the Lord God towards the Church Of Christ, and motivated by the holy intent to extend our love and compassion to our fellowmen -especially to our countrymen- the Church continues to conduct these civic actions,” Brother Eduardo V. Manalo said in his Oct. 14 statement. To further boost the worldwide aid campaign of the Church, the official website of “Kabayan Ko, Kapatid Ko” (My Countrymen, My Brethren) was launched last November 18, 2013. It features the highlights of the “Kabayan Ko, Kapatid Ko” humanitarian mission and other programs of the INC. Photos and videos of outreach activities can also be found in the site’s homepage. There is a also section in the site introducing the Church Of Christ, its doctrines, origin, mission and worship service schedules in various parts of the globe. 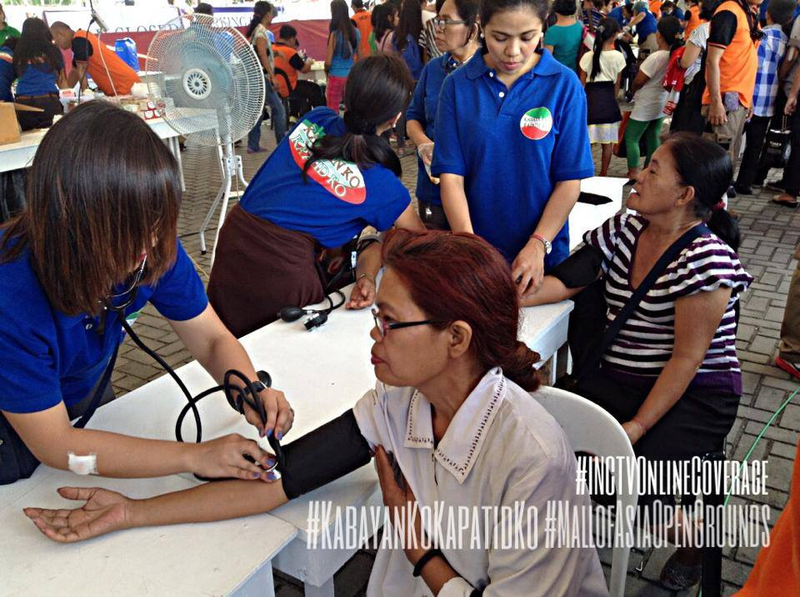 Even before the launch of “Kabayan Ko, Kapatid Ko,” the INC stressed that relief-giving and medical and dental missions had been done by the Church not only in the Philippines, but also in different parts of the world, in accordance to the biblical teachings. This was done through the Lingap sa Mamamayan or Aid for Humanity project, as part of the Iglesia Ni Cristo’s socio-civic activities and in its effort to extend a helping hand to those in need, especially during times of calamities and natural disasters. The Iglesia Ni Cristo had also conducted relief missions abroad such as those held in the aftermath of the quake in Japan in March 2011, Hurricane Sandy in New York and New Jersey in October 2012, the floods in Bundaberg, Australia early 2013, and the series of tornadoes that happened in Oklahoma in June last year. 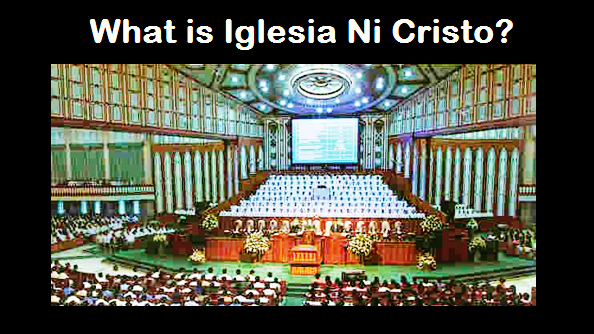 Tagumpay ng Iglesia ni Cristo, sa AMA ang kapurihan....Salamat po sa Tagapamahala ng Iglesia Ni Cristo. Bro. Eduardo V. Manalo.